So, i happen to stumbled by a video which really touched my heart. And this is what i would want to share with you today. 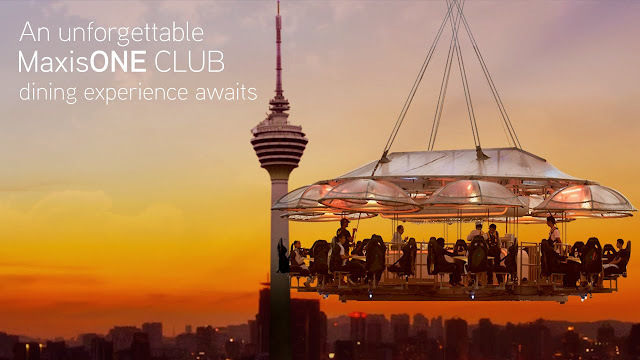 Im a maxis user myself, and just recently, Maxis had a Dinner in the sky campaign for MaxisOne Club Priority moments. One lucky member had a one in a lifetime experience to celebrate one special occasion with the help of MaxisOne Club. I heard a little birdy telling me that there will be another version of this video to offer viewers to experience and witness Khai's romantic marriage proposal. Im really hoping its a live view video (keeping fingers crossed). I guess imagining to be proposed on the air would be good enough to get myself to experience the moment too. Well, i hope you enjoyed the video as much as i did. Wondering if my proposal would be as extravagant than this one day? Only god knows ;) Do also stay turned for the other version of the video which i cant wait to share to you, as i will be updating you all when the video is officially out! 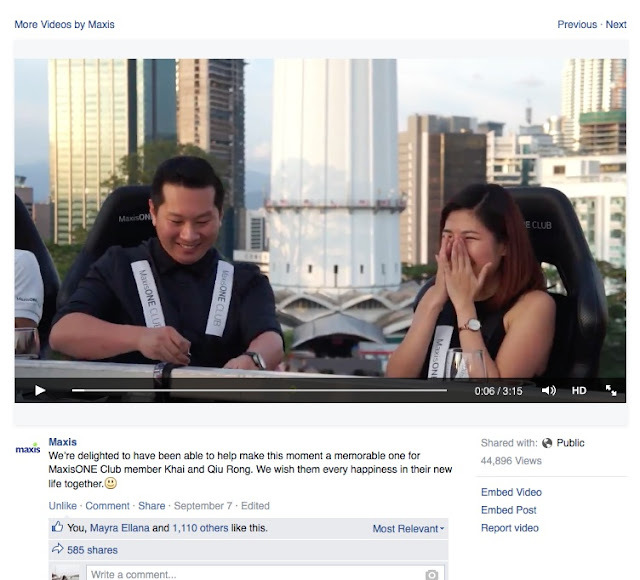 Do check out https://www.facebook.com/maxis/videos for more videos by Maxis. So sweet! How i wish some will do the same to me one day. wow nice view to dine on the top. I was told it's expensive this experience will be forever in memory. This is a great campaign! How I wish I could experience dining up there! And I wish my boyfie will propose like that lol. oh wow, so romantic and nice :D up in the sky. pretty romantic and wild too to be high up in the air like that. wonder if you're into this kind of proposal hehe.